The degree of Doctor of Divinity honoris causa, DD h.c., was conferred upon Bishop Risto Soramies of the Finnish Evangelical Lutheran Mission Diocese by the faculty of Concordia Theological Seminary in Fort Wayne, Indiana, The Lutheran Church-Missouri Synod. This conferment was decided on in the faculty meeting of 19 February 2018. Dr Lawrence Rast, President of the Seminary, emphasized the significant work Bishop Soramies had carried on for the building of the worldwide Church of Jesus Christ. Soramies served over 40 years in mission work in Germany and Turkey. He is especially well-known as an expert on Islam. Ever since 2013 he has served as Bishop of the Mission Diocese Finland. 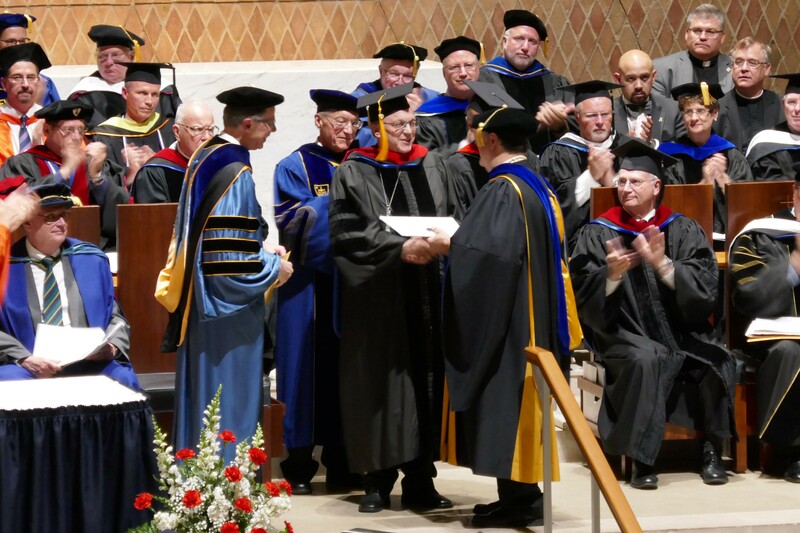 The degree was awarded to Bishop Soramies at the spring commencement of Concordia Theological Seminary in Fort Wayne on 18 May 2018.